All too easily and quickly, we look to people – our spouse, kids, family, friends, bosses, boyfriends, teachers and mentors – for their approval and affirmation. We may even find ourselves looking for recognition in our possessions or position. 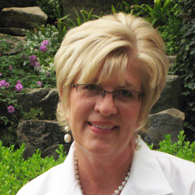 Do you ever catch yourself thinking, “if only I had or could…..then I’d be fulfilled.” I know I have. But I have found that no matter how much I do or get, it’s never enough to fill me up and make me feel satisfied. And it’s not suppose to! Why? Because the empty places in our hearts were created to be filled by God alone. 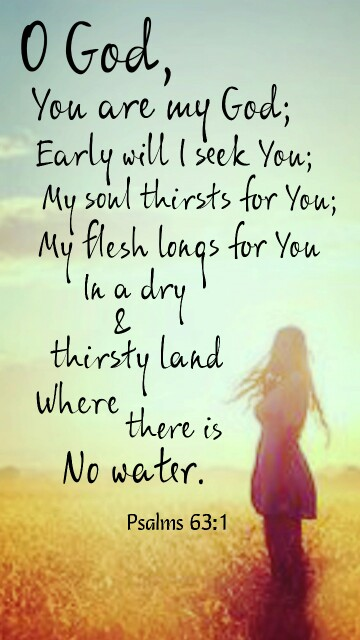 The deepest thirst of our souls can only be quenched by Him. 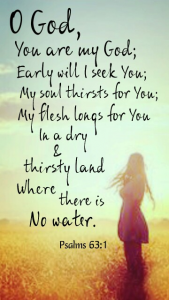 We will only have this thirst satisfied as we read His Word, meditate on the Word, pray, and spend time with Him, desiring to know Him more and more. 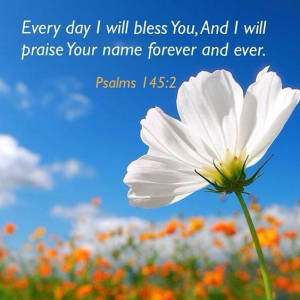 As we do this, we will come to know that His love for us is better than life itself….and be completely satisfied. Have a grace full week longing for and earnestly seeking God…and sing for joy! 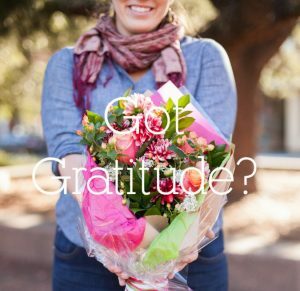 Perhaps you have recently been caught off guard by something….a medical diagnosis, a change in a relationship status, a loss of job, a pay cut, a loss of a dear family member, a friend that greatly wounded you. It is during these times that we should remind ourselves of the truth that God is never blindsided or surprised by anything that happens to us because He wrote the story of each one of our lives. 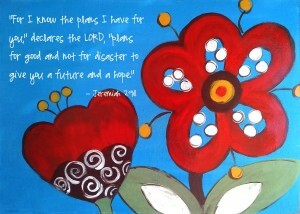 Are there days when your focus is more on your difficulties… your fears… your worries? 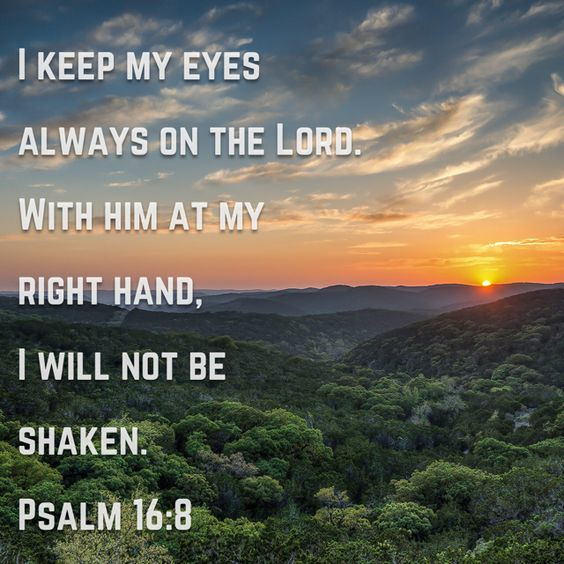 There is a Psalm that I have come to love when I need to be reminded where my focus must be. In this Psalm, David doesn’t focus on the situation from which he needs refuge, or that which threatens to shake him. Rather, David celebrates God’s help in difficult times and His presence that keeps him safe and makes him joyful. Take a look at verse 8. 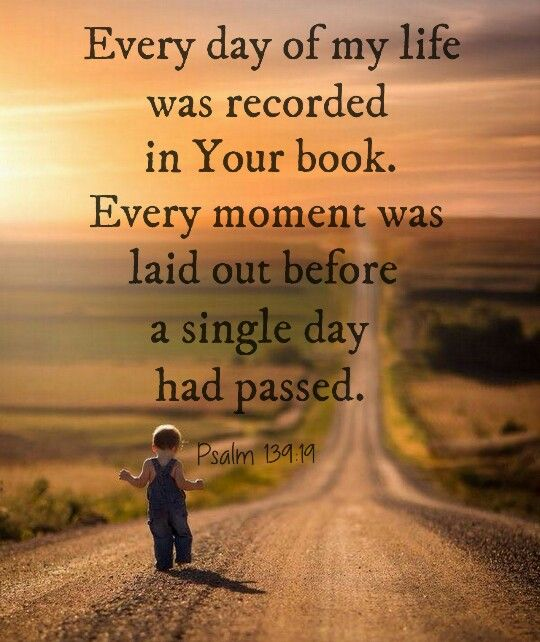 It says, “I have set the Lord always before me.” I am reminded here that not only did David know that God was always with him, but he chose to intentionally live out this truth. Leaning on Him. Trusting Him. Talking to Him. Surrendering to Him. Instead of living in a way that believed God is distant…instead of focusing on the problems and challenges he faced, David chose to live in the light of the truth of God’s persistent presence. As a result, David proclaimed that he was not shaken and had found joy! Like the Psalmist, you too can choose to live in the light of the truth that God’s presence is always with you. When you live this out, you will not be shaken by the inevitable disappointments and detours of life. You will stand firm in the midst of suffering or opposition. You will find strength to press on in service to God as you live for His kingdom in this world. You will find fullness of joy! Rather than being bogged down by our concerns today, perhaps what we really need is to think about how good and great God is. 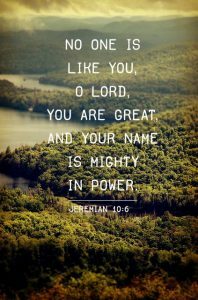 When we remember His greatness, righteousness, patience with us, nearness, steadfast love, splendor, abundant goodness to us, wondrous works and awesome deeds our hearts and minds can trust and rest. God has good plans for you. 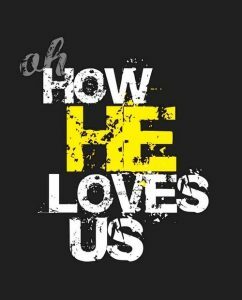 Truth Tuesday – Oh How He Loves Us! Every now and then I think it does our hearts good to be reminded of God’s love for us. 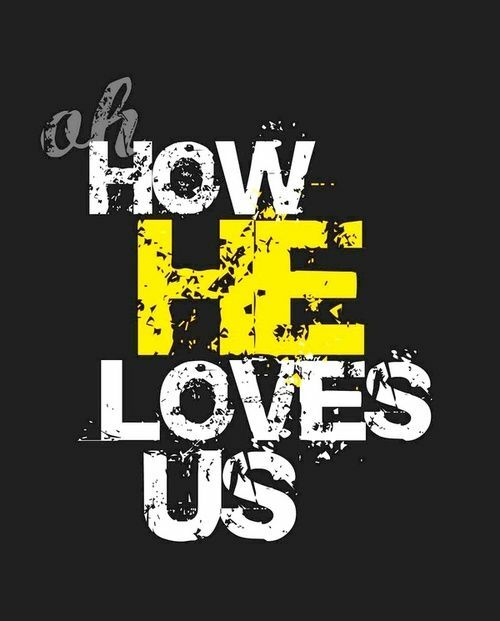 His love is not based on our performances, beauty, positions or abilities. It’s not based on what we have done or should have done. The truth is….God will never love us more or less…no matter what. His love is complete and we are the object of His heart’s affection. Truth Tuesday – Let the Enemy Know Not Today! Are you struggling with fear in any area of your life right now? Perhaps there is a relationship that is causing you anxiety. Or a difficult circumstance where there seems to be no solution. Can I just speak honestly to your heart right now? Satan wants you to be afraid. While you are distracted with fear, the enemy is pickpocketing your purpose, crippling your courage, dismantling your dreams and blinding you to the beauty of God’s great plans. Bu you don’t have to live in that place of fear. You can stop right now and speak the name of Jesus. 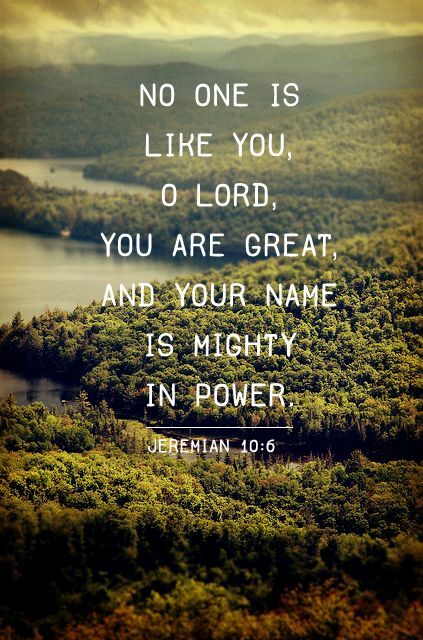 Proclaiming His name brings power, protection and perspective that CRUSHES fear. It is the name above every other name. Truth Tuesday – Are Your Words Gracious and Salty? Words can make or break every relationship that we have. Our words will either draw people to us, or they will push people away. Words, written or spoken, carry great weight in our lives. 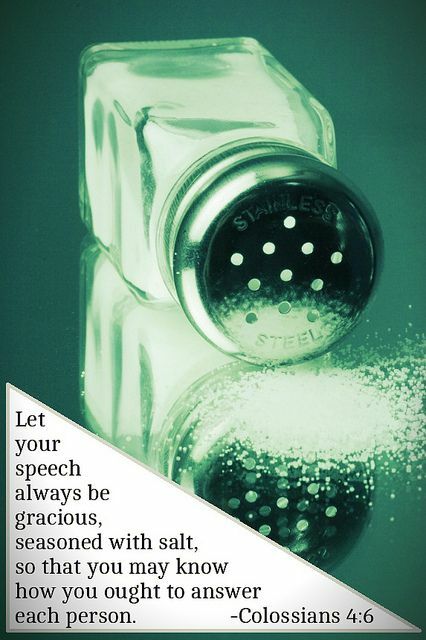 In today’s verse, God is encouraging us to let our words, “always be gracious and seasoned with salt”. Let’s consider what salt does and then make some spiritual applications so that we can live out being gracious in our conversations. When we face difficulties, or simply have a need to make a decision and are torn with which direction to take, it can be tempting to get carried away with focusing on the difficulties, or the decisions needed. Before you know it, your focus is completely on the need to fix your situation, and your heart gets restless and unsettled. When I have moments like these, one thing is noticeably missing in my thought pattern – peace of mind! 1. We must fix our minds on God. 2. We must trust God. First, we must fix our minds on God, on His promises, and on the truths of His character, regardless of how our hearts and emotions are making us feel. We can find these promises and truths by reading God’s Word. As we read God’s Word, we must meditate on it, memorize Scripture, and discipline our thought patterns to agree and rest upon the truths revealed in God’s Word. Secondly, we must trust God. This means that we need to have complete and humble confidence in God, relying on Him to work things out in accordance with His good and perfect plan for our lives. When we are trusting, we don’t give into despair or fear because we are resting in the fact that God is in complete control. When we choose to obey these two prescriptions, God blesses our obedience with peace! God will give us an inner sense of contentment and quietness regardless of our circumstances. If you are not experiencing peace in your current situation, ask yourself what prescription for peace you are not living out at this time. 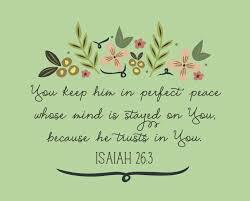 Wishing you grace full week of calm and perfect peace as you fix your minds on the Lord and trust Him! 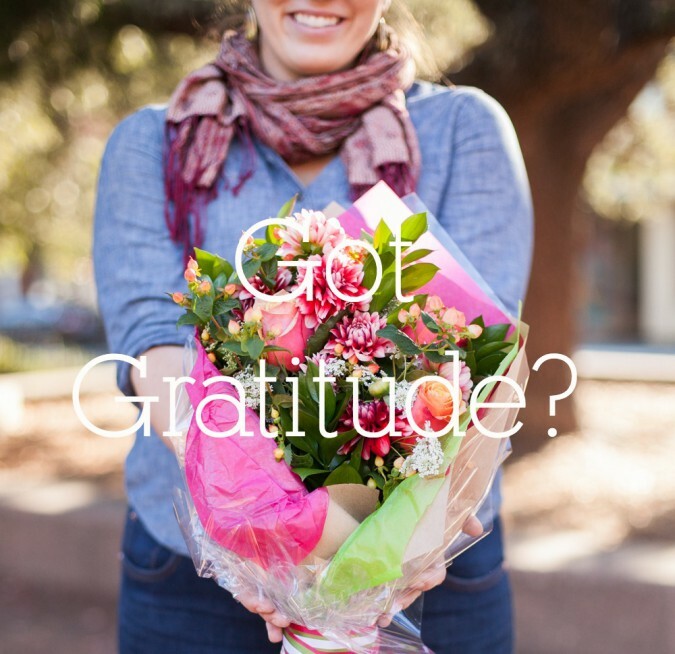 Gratitude is a life preserver, for choosing it can rescue us from drowning in a sea of runaway emotions filled with doubt, negativity, discouragement and anxiety. It is a choice that requires frequent evaluating on our part, as it is so easy to get sucked into the undertow of life with all its busyness and demands.